Webster Technique for a Safer and Easier Birth? Dr. Jamie is certified in the Webster Technique. 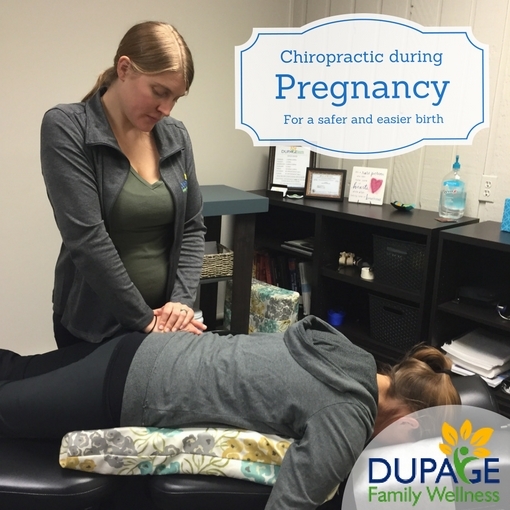 It is a specific assessment and chiropractic adjustment to be used on pregnant women throughout pregnancy in preparation for a safer and easier birth. While it was created with the pregnant patient in mind, this technique is meant to balance the bony and ligamentous structures of the pelvis and sacrum, and thus can be used on anyone with a spine and pelvis! When should pregnant patients start receiving regular Webster assessments and adjustments? This can be done as soon as pregnancy starts, or even during the preconception period! Why is having this assessment and adjustment important? Power- abnormalities of the expulsive forces. Uterine forces are either not strong enough or inappropriately coordinated to efface and dilate the cervix. As with all organs in our bodies, these organs receive nerve flow from the spinal cord. Having proper alignment and functionality of the spinal column can help to improve nerve flow to the organs themselves. Passage- Abnormalities of the maternal bony pelvis. Having the pelvis and sacrum positioned ideally will allow for the ideal passage through this outlet during delivery. Passenger- Abnormalities of fetal positioning and development. Positioning the sacrum and pelvis in an ideal way will allow the baby to have the best opportunity to get into the ideal position. During my last pregnancy, I had heard of the Webster Technique, but mistakenly thought that it was just something to be used toward the end of pregnancy if baby was found to be in a non-ideal position (such as breech). Even as a chiropractor, I didn’t realize that this technique would be beneficial throughout my pregnancy. Because I had no pain throughout my pregnancy, I really didn’t seek any chiropractic evaluation or treatment for myself. I ended up having a 43 hour labor. My ideal birth was a non-medicated vaginal birth. When I finally checked into the hospital after 24 hours of contractions, I was told that my baby’s head was asynclitic. At the time I had no idea what this meant, but I came to find out later that it meant her head was tilted. She also ended up being occiput posterior or “sunny side up.” Because she was not in a neutral and ideal position, she could not properly engage with my cervix to make my body naturally dilate efficiently. My midwife seemed to know as soon as we checked in to the birthing center, that there was a long road ahead of us. After 10 more hours of walking, squatting, and getting into any position imaginable to try to help this baby descend, I was defeated and exhausted. I consented to an epidural and ended up having to have the baby pulled out with the assistance of forceps. While I can’t go back and change anything in the past, I have decided to do some things differently this pregnancy including being evaluated and adjusted on a regular basis. Even without symptoms, so much is changing throughout pregnancy that I feel this is a key component in prenatal care for every mom! I would love to educate as many pregnant moms as I can so that they can experience their ideal birth (whatever that means for them!). If you are, or know someone who is pregnant, please empower them by sharing this message! Even if they don't live close to our office in Warrenville, they can search for a local Webster Certified Chiropractor on this website!